← How do you pay an early stage board? Expect a board member to give a meeting a month, emails and phone calls between. Urgent issues require more of all. 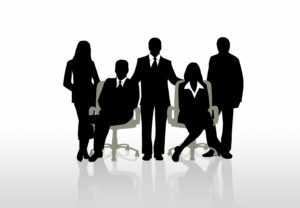 Board members are usually busy people, often running other companies or serving on multiple boards. Early stage boards usually meet once a month for two to a maximum of four hours, enough to ruin the rest of a day for those who travel even short distances. In addition, most all board members freely receive phone calls and emails from the CEO during the month, all considered part of service. There are times when board members are called upon to give extra-ordinary time to the corporation, such as interviewing candidates, strategic planning, recovery from a cash flow crisis or other urgent issues. Most often these are freely given by board members. You would probably cross a line if you ask a member of the board to consult to the company, spending considerable time with other employees regarding issues that might be handled by others than from a board. Depending upon the board member, it is appropriate for you to offer a consulting fee for this time spent above the call of board duty. Any such informal contracting of service should always be preceded with an agreement between the CEO and board member as to the amount to charge and estimate of time to be spent before further agreement is necessary. [Email readers, continue here…] Do you expect your board members to be more involved that this? Have you discussed this during a board meeting? And would you want more from your chairperson? How about asking a board member to spend time with one of your VP’s or directors? All of these are great questions to clarify with your board. So, now we’ve discussed the expectations that are the norms. It’s your turn to make expectations clear and be sure there is agreement about these expectations. Good luck! This entry was posted in Surrounding yourself with talent. Bookmark the permalink.